Chris is an independent filmmaker working in London, UK. He learned his craft by participating in his student film-making society at York University while he was supposed to be studying engineering. Now 30 years old, his day job is visual effects engineer at Oscar-winning post-production company Framestore. They’re one of those companies you probably haven’t heard of unless you’re in the industry, but you’ve -undoubtedly seen their work, which includes high profile movies like Harry Potter, Avatar, Clash of the Titans, Sherlock Holmes, Chronicles of Narnia, Troy, X-Men and The Dark Knight, as well as the title sequence for Doctor Who and commercials for companies such as Coca-Cola. Chris spends his days researching and dealing with technical issues for these sorts of high-budget blockbuster projects. To satisfy his creative urges, though, Chris continues to make his own ultra-low-budget movies. 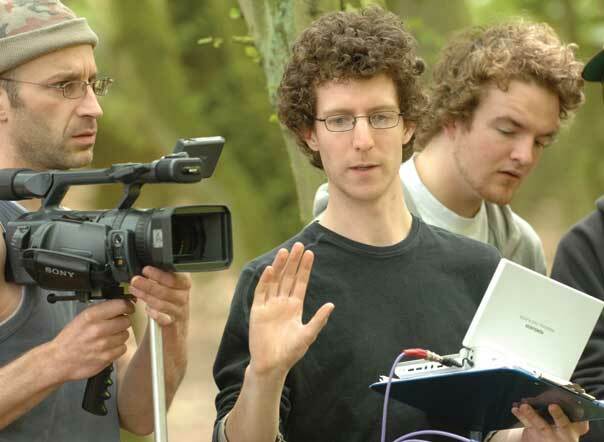 He hasn’t directed as many as he’d like, he admits, but the one he’s most proud of is a 40 minute unofficial Tolkien adaptation called The Hunt For Gollum he made in 2009 which was shot on a budget of £3000 and has now been seen by over 10 million people (watch it free on YouTube). He’s also created trailers for a post apocalytic movie called Human Residue, and shot a sci-fi short called Clone. He’s now working on his first feature film, Looking Over The Dragon, which has just finished shooting. It’s set in the London borough of Hackney, and it’s about a drug deal gone wrong. He used Moviestorm extensively in the planning stages of the film (the 4 months leading up to the shoot). "The simplicity and ease with which you could theoretically build a sequence of shots with characters, dialog and camera moves, was brilliant. It was exactly the tool I needed." "It was a really useful tool during the chaos of filming." Once Chris was happy with the scenes, he then put them onto a laptop which he took on set as a reference aid. “It was a really useful tool during the chaos of filming,” he says. “It’s also a good way to aid communication from director to crew. I could show the director of photography what shots I had in mind, and help him to plan his lighting accordingly. Not interested in doing it yourself? Need a finished video, previs or bespoke art? Try us - we are low cost experts of 3d animated filmmaking!